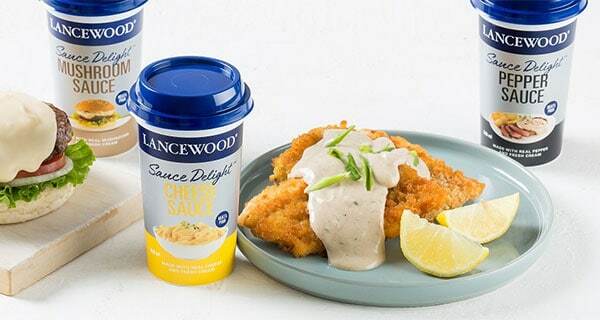 Lancewood, the George-based dairy business in the Libstar Group, has come up with another interesting line extension – fresh, cream-based savoury sauces. The convenient Sauce Delight range offers consumers three tasty, easy ways to enhance meals – Mushroom, Cheese and Pepper – and are all made with “real cream and real ingredients”. The sauces, packaged in a 250ml re-sealable, microwavable cup, are simply heated in the microwave for two minutes before serving. They are merchandised in the supermarket fridges.